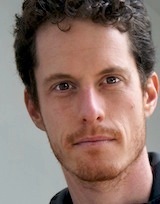 Ben Zolno (ben@weown.it) is an activist, filmmaker, and the founder of New Message Media. He produced We Own It’s films about the Choctaw REC members' campaign, Fellowship program, and most recently, a film highlighting this young movement's growth across the country. Ben is currently working on a series of films about constituent campaigns for We Own It.